Another cold, overcast night on the Monterey Bay. At least the wind was pumping with 15 to 20 knots out of the northwest. There seemed to be fewer boats out tonight, but the usual crew was out with Aeolian, Free Spirit, Blue Ribbon, Iris, Sea Quake (C&C29) and Pair A Dice. There also was an Olson 25 and maybe a few more out for the fun. Pacific Spirit didn’t make it out in time for the start but came out later. Just to mix it up, we decided on Course 3: Start, Wharf, Blacks and Finish with a 6:10 start time. The new five minute horn seems to work well for everyone and Iris had a 3 minute head start this time. For the start Sailing Pair A Dice decided to start on Starboard tack at the start mark and accomplished this pretty much on time. Blue Ribbon, the Olson and Aeolian all started on port tack. When we tacked over on port, we met Aeolian who was tacking out on starboard tack and were able to tack in front of them and effectively lee-bowed them. As we all made our way to Wharf, we were amazed that Blue Ribbon had taken their port tack all the way beyond Gov before they tacked over. Since the wind was much less in there, we thought they were sailing into a disadvantage. As we rounded wharf, we were amazed that Blue Ribbon was right behind us, followed by Iris and the Olson. Right after rounding wharf, we set our pole to port and sailed the rhumb line to Blacks. Aeolian and the Olson mixed it up a bit, but ultimately the Olson came out ahead in that squirmish. We rounded Blacks comfortably ahead of Blue Ribbon. At the finish, it was Pair A Dice followed by Blue Ribbon then Iris, the Olson and Sea Quake. Aeolian bailed out of the race due to technical difficulties (darn sheets wearing out). We had a great turnout at the Crows Nest, recapping the evenings events. We are coming to the end of our sailing season, you can feel it in the air and the shorter nights. We have had a great summer of sailing. I can’t think of any time we did not have wind, though there were a few times we had to wait for it to come up. 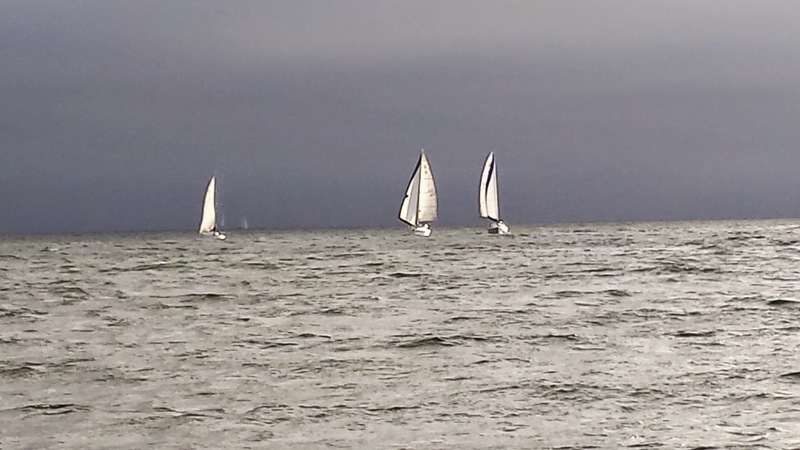 It has been fun watching everyone improve their sailing and racing skills as the summer has progressed. Whether fighting it out for the lead or trying to get ahead of another boat back in the pack, it has really been a fun summer of sailing. As the season winds down, what are your plans to keep your skills up during the winter? There are many options to do this. Some of us continue to meet out on the bay on Saturdays, weather permitting. 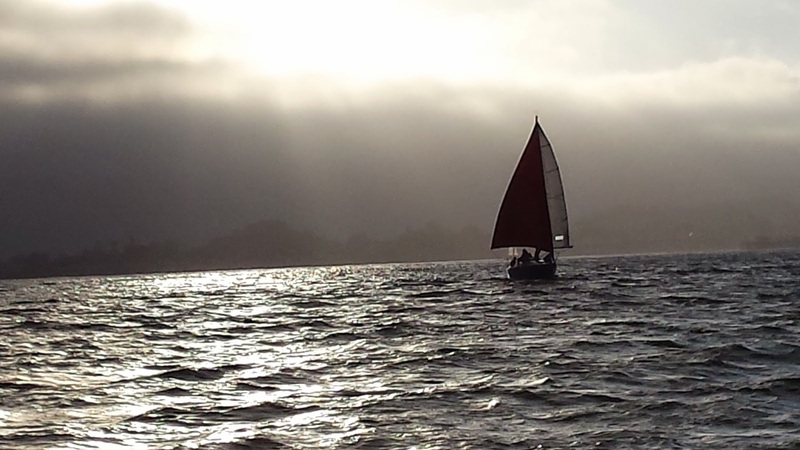 You can get a PHRF certificate and participate in the Yacht Clubs Midwinters regatta. The first day of Score was on the 24th of August and we only had one Jib and Main boat out (go Diver Down!). If you are intimidated by the process of entering a “real Regatta” and don’t understand the flags and horns, let me know and I will help in whatever way I can.